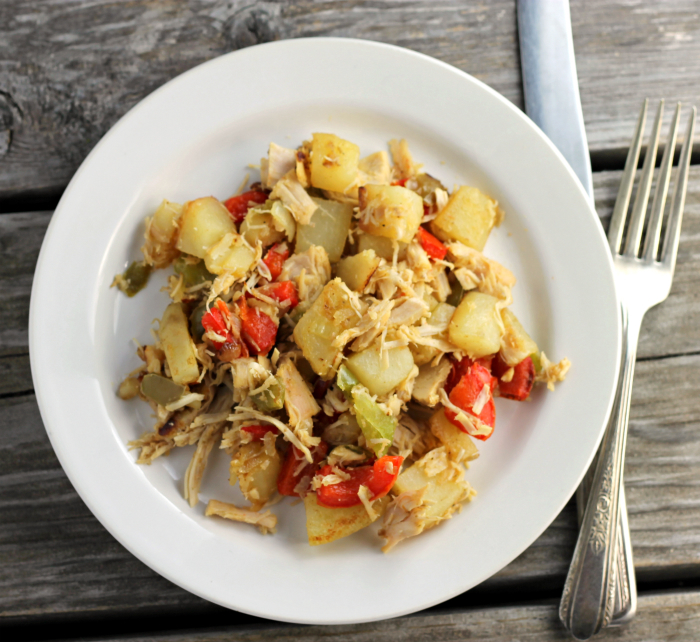 Leftover Christmas turkey was turned into this wonderful turkey hash. Toss an egg on top and you have the ultimate breakfast… total comfort food. I hope everyone had a wonderful Christmas. I felt blessed to have family and friends gathered at our home for the day. As always I ate too much. Now comes the New Year’s resolution, I think I have the same one every year… drop a few pounds. Hopefully, this year I will stick to my resolution. Every year I make a turkey for Christmas Day and every year I have leftover turkey. Normally I would use it for soup since I love soup during the cold days of winter. But this year I decided to step out of the norm and try something totally different. 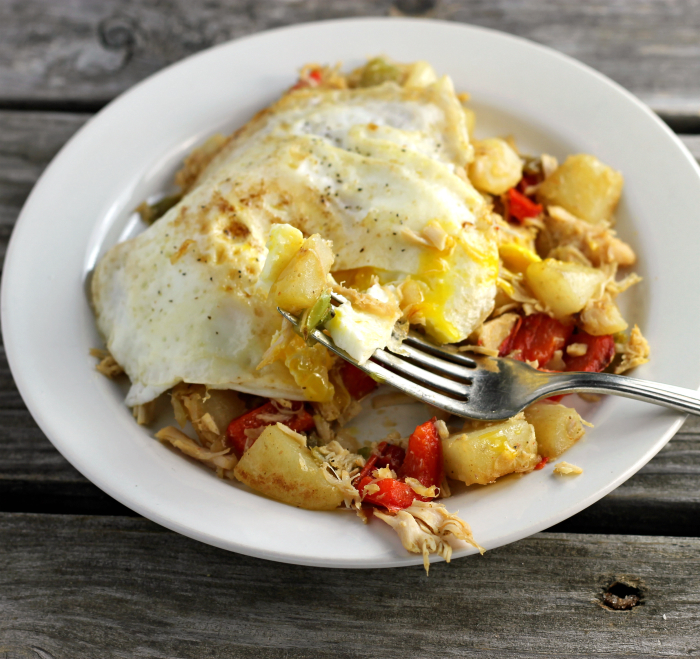 Yep, I decide on trying my hand at making this turkey hash. I have made hash before, but never with turkey. Yeah, turkey to me never felt like it would go with a fried egg. I am funny with things like this; I usually don’t use the words turkey and breakfast in the same sentence. Boy was I wrong! 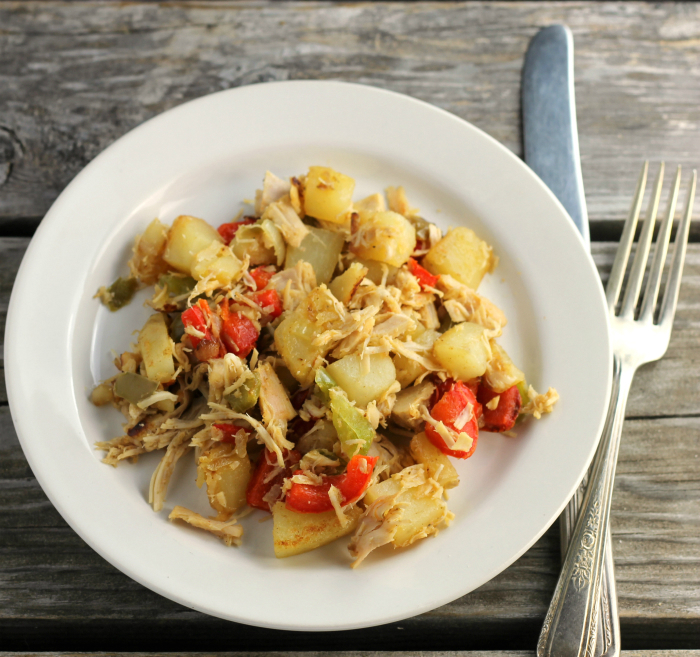 The hash included turkey, of course, green pepper, red pepper, onion, potatoes, and seasoned with celery salt. I love the flavor of celery salt. The peppers were supposed to go into a cole slaw that was served on Christmas Day, but they were left behind and forgotten. It is funny because this is Mike’s “famous” cole slaw, and he makes it every year for Christmas dinner. For some reason, he forgot all about the peppers that were purchased for his cole slaw. This was okay because they were perfect for this hash. This hash is very easy to make and it really doesn’t take too much time before you are serving it. The potatoes, peppers, and onions are cut into small pieces and fried until they are fork tender. At that point, the turkey is added along with the seasoning. Divide the hash onto plates and place an egg on top and it is ready to eat. See I told you this was easy to make. I will be making this again when Christmas rolls around next year. Add 2 tablespoons to a skillet and heat over medium heat. Add the potatoes, onions, and peppers. Continue to cook the vegetables over medium until the are fork tender and slightly browned. Stir frequently to prevent burning. Once the vegetables are tender add the turkey, celery salt, and salt and pepper if needed. 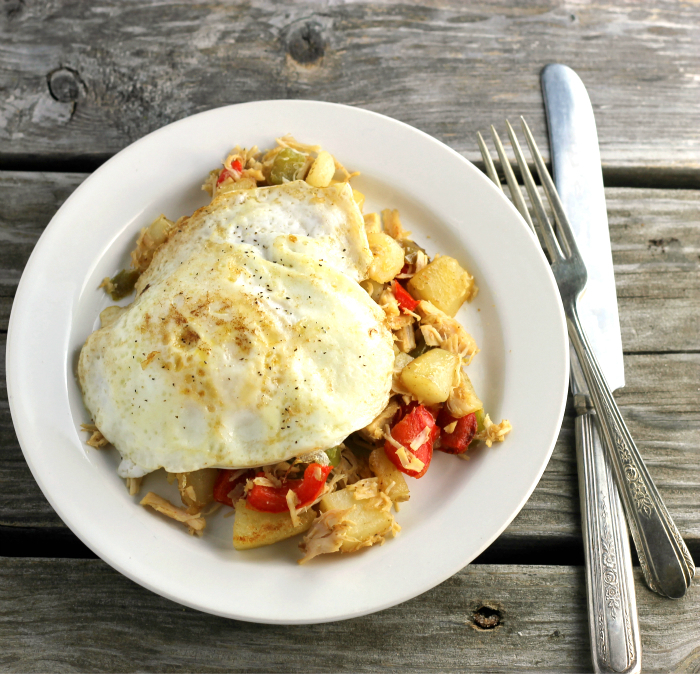 Place hash on a plate top with a fried egg. The egg can be cooked to the way that you like it, season with salt and pepper. It looks utterly delicious and comforting, Dawn. 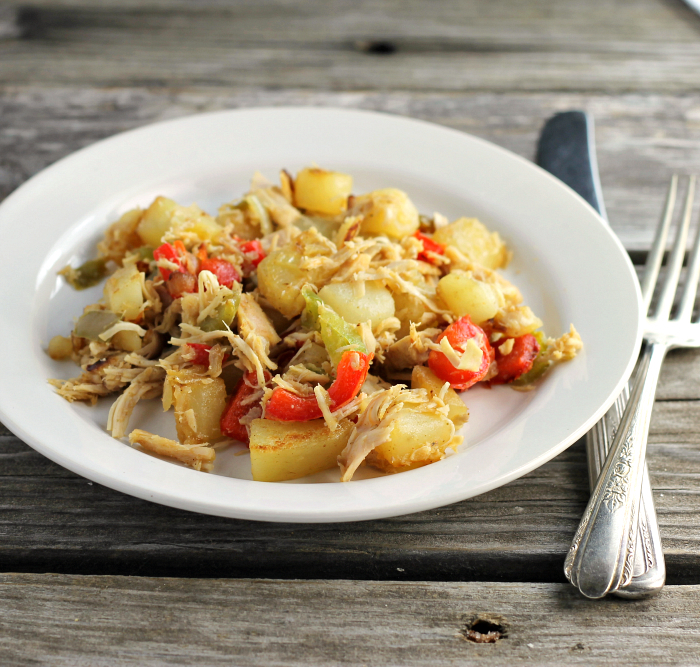 What a great way to use up leftover turkey! The egg on top looks perfect! Looks good, Dawn. How’s your cold? Gone? I grew up eating turkey for Christmas—and now I’m missing the leftovers! I missed making tetrazzini after Thanksgiving and your hash is darned tempting, too! Happy New Year, Dawn! Oh, yum! What a great way to make delicious use of leftovers!